As President of the Hispanic Bar Association of Orange County (HBA), I am honored to invite you to our 38th Annual Gala Scholarship Fundraiser and Installation Dinner, on Saturday, March 5, 2016, at the Marriott in Irvine, California. 2016 marks the 38th anniversary of the HBA’s Annual Dinner. For 38 years, the HBA has been committed to promoting access to education and raising the next generation of HBA leaders and Latino lawyers in Orange County. We are inviting you to celebrate with us on March 5, 2016. We hope you will join the 500 judges, attorneys, community leaders and supporters who we expect will attend this celebration. The Annual Dinner is the principal fundraiser for the Wally Davis Memorial Scholarship Fund. This scholarship fund was created over 20 years ago with the vision of developing the next generation of HBA leaders and Latino lawyers in Orange County. To date, we have awarded more than 70 scholarships to Latino law students with ties to Orange County who have demonstrated a commitment to helping the Latino community. 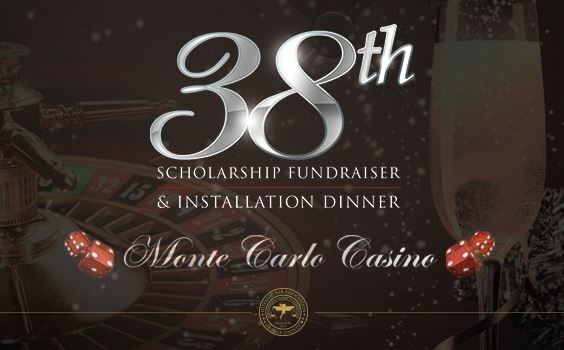 This year’s theme, Monte Carlo Night, will commence with two-hours of Monte Carlo- Style Gambling, an amazing dinner and program, followed by entertainment by La Sonora Dinamita for some dancing, and finally concluding with a late-night after-party. This Gala will be the must-go-to event of the year. The success of this event relies heavily on your generosity. With your support, in the last five years alone we have been able to distribute almost $200,000 in scholarships to deserving law students. We are deeply thankful for your generous contributions and look forward to having you join us again this year. Enclosed are sponsorship forms for your consideration. Your early commitment assures recognition in the dinner program. Please contact me at (714) 571-0738 or via email at lyo@mfonteslaw.com if you have any questions. Thank you in advance for your support. I look forward to seeing you at the Annual Dinner on March 5th.